Bank Overdraft Fees - WHY?!? Bank Overdraft Fees – WHY?!? Of course no one wants to charge themselves more than they actually have in their bank account. But when your checking account accidentally drops below zero, what happens next can be even less desirable. Although most of us know they exist, bank overdraft fees can still be very confusing. And it only takes one instance to really feel the weight of these unexpected fees. But where did these charges originate? Are they ever going to change? And is there any way that bank overdraft fees can be avoided? Why Do These Fees Exist? The simple answer is ‘revenue’. Over the years, banks have discovered more and more ways to increase their revenue at the consumers’ expense. And overdraft fees are a perfect example of how fine print helps them to do so. In 2010, Federal regulations required that customers must “opt-in” to overdraft protection on their accounts. But it is standard at nearly all banks to have a tricky way to get you to opt in. The average overdraft transaction is less than $10, and the average fee is usually at least double that. So the additional percentage of profit for the banks is huge. Last year alone, banks made more than $11 billion in consumer overdraft fees. And already for the first quarter for this year they’ve collected $2.78 billion in fees. His inquiry comes shortly after the CFPB filed a lawsuit against TCF National Bank regarding overdraft services. The CFPB (Consumer Financial Protection Bureau) said that, not unlike other banks, TCF used confusing practices and misleading information from bank employees to trick customers into agree to overdraft services. 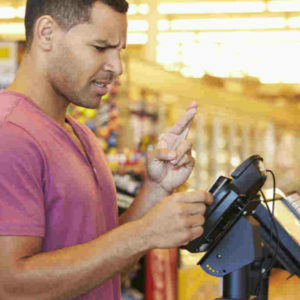 An extensive study by The Pew Charitable Trusts showed that across all banks, roughly half of those who paid bank overdraft fees did not recall consenting to them. We can be sure that even if the rules and regulations are amended, banks will find alternative ways to make up for that revenue. But in the meantime, there are a few ways that consumers can avoid falling into excessive bank overdraft fees. Pre-overdraft charges, you can use a financial review app like FeeBelly to carefully review your agreements with your bank. 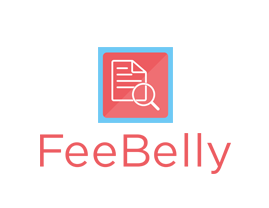 FeeBelly allows you to check the fine print when setting up bank accounts before unknowingly agreeing to the terms. Enabling email or text alerts when your balance falls below a certain amount can help you to avoid the circumstances, too. You can also retroactively fight these charges. If you find yourself faced with a bank overdraft fee (don’t worry, mistakes happen), you can call and negotiate to get the charge removed. When speaking with the bank, don’t make it easy for the representative to say “No”. Or at least realize that “no” can be the beginning of the negotiation conversation. (On a side note, always record your service calls!) And if they’re not budging, you can pull the ‘loyalty card’. Some banks pay hundreds sometimes thousands of dollars in customer-acquisition costs and they’d rather not lose you as a customer. Not sure if your bank charges overdraft fees? It is in your best interest to find out and protect yourself from these hidden charges before it’s too late!